When selecting the protein to serve to your guest, opt for healthier options such as fish, chicken breast, and poultry. 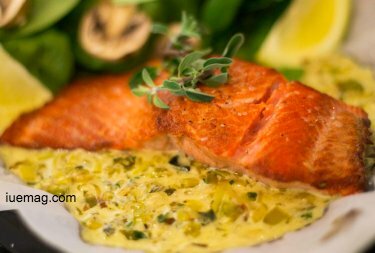 Fish such as salmon and trout contain good fat, especially salmon, which is rich in Omega-3 fatty acids. These fatty acids reduce the chances of heart disease. When grilled skillfully, fish taste great, with a little seasoning they can be even better than red meat. However, you may not have sufficient time in tending to guests while trying to do a great job at grilling. Additionally, grilling meat and fish of different types requires expertise. All meat is different and requires a different cooking temperature. If you are worried about hosting an event and do not want to wreck the food, hire a BBQ caterer. They will relieve you from the tension of cooking while delivering exceptional dishes that your guests will love. While deciding the portion, remember! A healthy portion is about 3 ounces or the size of a deck of cards. Anything above 6 ounces is excessive. Do keep in mind that there are other items too that need sufficient space such as the delicious grilled veggies and the side dishes. Marinating the fish or the meat with spices can enhance the flavour of the meat. It also helps reduce the amount of salt. Consuming excessive salt can cause all sorts of health problems from a rise in blood pressure to heart diseases. For each pound of meat or fish, you require half a cup of marinade or one tablespoon of spices to rub. 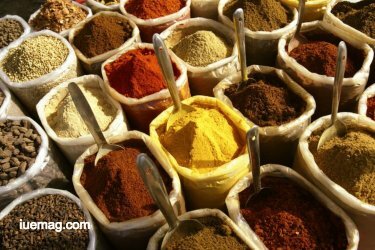 You can use your favourite spices such as cinnamon, allspice, cumin, chilli powder, rosemary, garlic powder, paprika, and black pepper. A tip of caution, do not reuse the spices or the marinade once it is exposed to the meat. Additionally, you can also use turmeric powered, a less known but highly beneficial spice for your health. Apart from giving the meat a distinct flavour, turmeric is known to prevent a wide range of diseases. Fruits and vegetables, apart from being healthy also add to the presentation of the food. 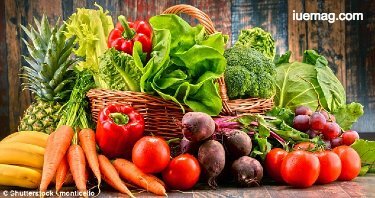 Add a variety of fruits and vegetables of different colours such as mushrooms, onions, asparagus, eggplant, squash, potatoes, avocado, bell peppers, corn, and zucchini. You can grill the vegetables or present them as kebabs; it will give the veggies a distinct flavour and win even the most voracious carnivores. Prior to exposing the veggies to the fire, brush them with healthy cooking oil such as olive oil or use a grill basket. Buy skinless chicken and trim off any visible fat on the meat before expositing it on the grill. The skin of the chicken contains a large amount of fat and takes longer to digest. Use olive oil or other healthy cooking oil to brush the meat before grilling. As you grill the meat, allow the fat to drip off the meat. With these steps, you can offer meat to the guest that is totally healthy and safe to consume. 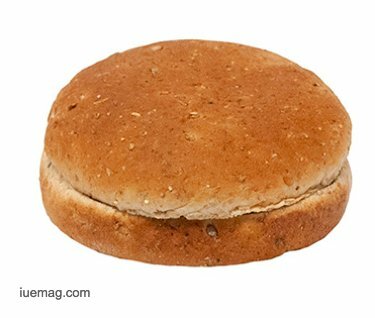 For buns and slices of bread, use whole-grains rather than highly processed bread. Whole-grain is highly beneficial due to the large quantity of fibre content, which is discarded when the grain is processed. Whole-grain bread aids the digestion and reduces the build-up of carbs in the body. Fruits contain natural sweeteners and when grilled they caramelize, giving them extra sweetness and unique flavour. Use sliced apples, peaches or plums, pineapple, bananas, nectarines, or figs. We hope that with this healthy BBQ cooking tips, you will be able to entertain your family and guests while caring for their well-being. If you find it too hard, there is always the caterer who is just a call away.